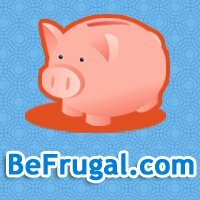 · Save on luggage, clothes and more! Kohl’s coupon code: 15% off a $100+ order and free shipping on $75+ orders, expires 2/28. Plus get 4% cash back. · Marriott coupon code: 20% off Marriott Vacation Club Resorts, expires 2/27. Plus get up to 6% cash back. · Dollar Rent A Car coupon code: 10% off any vehicle, expires 3/25. Plus get 1% cash back. · Luggage Guru coupon code: 22% off Samsonite luggage, expires soon. Plus get 6% cash back. Cash back rates can change from day to day. These rates were valid 2/5/13. Join now for free and earn cash back when you shop! Post contains an affiliate link. Please note that when you click links and purchase items, in most (not all) cases I will receive a referral commission. I only recommend products & systems that I use and love myself, and for my family!